Whatever your signature cooking style, the CDA range of single and double ovens has been specifically developed to offer options to suit exactly what you need. Whether that is cooking at eye level or making use of under counter space, every model has been fitted with the latest innovative cooking technology and tested to last a lifetime. 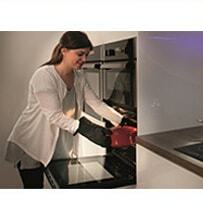 As a kitchen essential, choosing an oven is an important decision to make in any renovation or new design. Take a look through our oven buying guide to help you pick out the functions and features that matter to you and find the perfect oven for your home. The CDA oven range is comprehensive with models ranging from the basic fan, single cavity to our largest built-in design, the double tower oven that encompasses two full size multifunctional cooking zones. 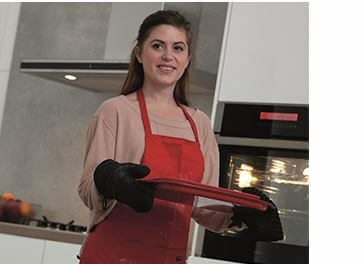 There are so many features and functions to choose from, including different cooking settings, defrosting, self-cleaning and auto cook programmes, click here to view our oven function guide to help you decide what you need for your cooking style. Many of the models in our range now feature the extra-large, 74L capacity which is the largest usable oven size on the market currently. This has been designed to give you extra shelf and width space inside the oven, while still being able to install the appliance in a 60cm housing. With the new capacity, you will have no problems cooking the Christmas turkey and all the trimmings. We have also dispelled the myths surrounding double oven cavity sizes, built-in or built-under designs, Net and Gross capacity, cleaning ovens and how the cooking style varies with different fuel types. Take a look at our guide to clear up any confusion before you start making important decisions on which oven is right for you. Our A-rated (and better!) 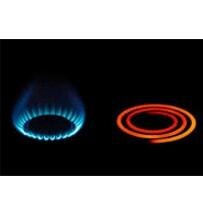 energy efficient ovens are built to last, with high quality designs and manufacturing to the highest standard. 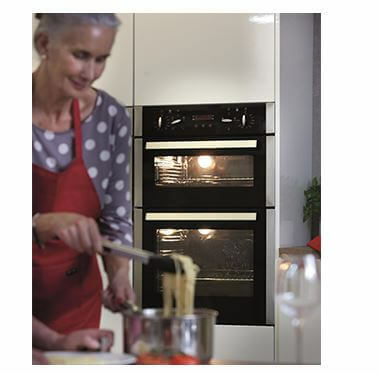 CDA ovens look incredibly modern, which means they’re perfect for transforming the look of your kitchen. 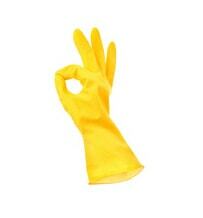 Not only do they look great, but they also perform how modern machinery should – high powered, efficient and reliable. 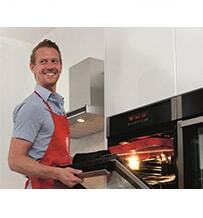 We manufacture both single and double ovens in order to cater for all kinds of family life. Double ovens, as you would expect, are capable of cooking around twice as much food at one time, although typically the top cavity will be slightly smaller than the bottom cavity. The bottom cavity will usually be your main cooking area, capable of higher power and a range of different cooking styles. The top oven will be ever-so-slightly less powerful because it isn’t fan assisted, but the help they can provide in getting more food cooked on time is invaluable. Some features may sound similar, but they all do a unique job in getting your food cooked to perfection, as quickly as possible. 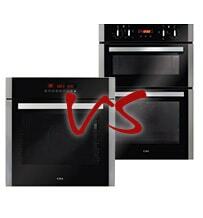 Once you have selected your perfect CDA oven, be sure to partner it up with one of our high quality hobs. 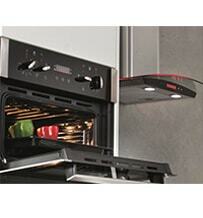 If you have ever wondered what oven capacity means or what is the best way to clean an oven, this section is for you!